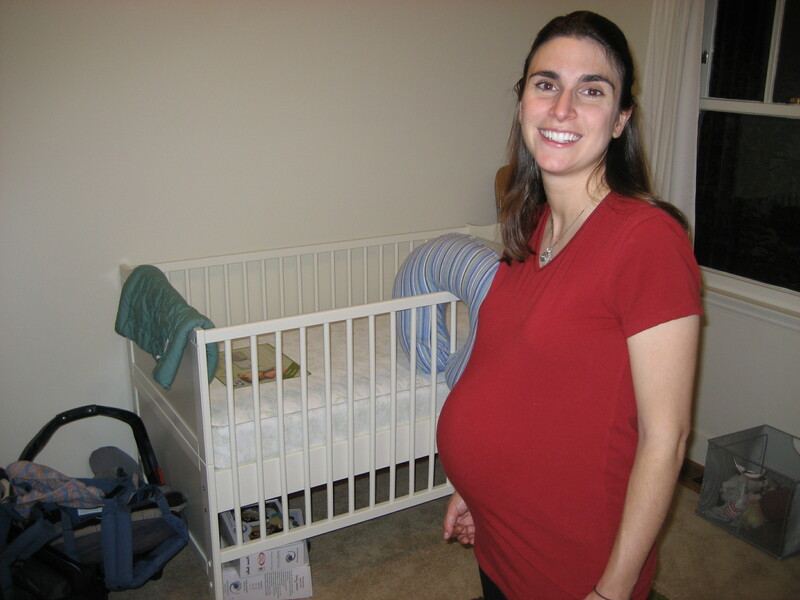 Me, about two weeks before Fiona’s birth. It’s a miracle that I’m sitting here, typing this right now, because I should be dead. That’s not an exaggeration; I’m not trying on a dramatic opening line for effect. I should be dead, and in any other time or place, I would be. 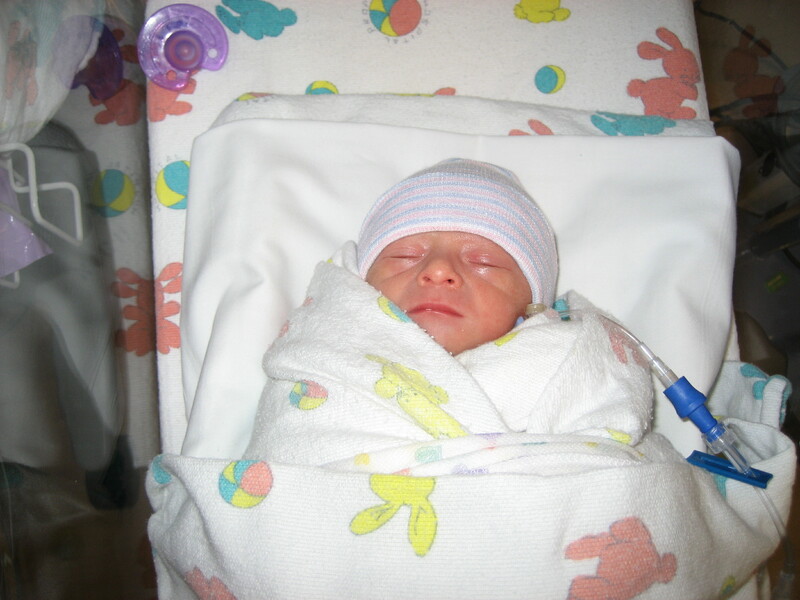 I had a fairly easy, uneventful first pregnancy. No morning sickness, no notable symptoms of any kind aside from an insatiable craving for movie theater popcorn. When they took the 20-week ultrasound, the doctors noticed that our baby was a little on the small side, but nobody worried much about it. “You’re a small person,” they said, by way of explanation. Then my doctor went to Korea for six weeks. The two substitute doctors I saw in the interim noted that the baby was still measuring small, “But you’re a small person,” they kept saying. Other than smallness, both the baby and I seemed healthy. When my regular doctor came back and the baby was still lagging behind in size, he was nervous. This doctor, who saw me through all three pregnancies, is long on brains and short on bedside manner — which was fine by me. Imagine a very, very pessimistic, Korean Mr. Miyagi, and you’ve captured him. (His introduction to genetic testing was: “Sometimes, baby is born with no brain.”) He sent me to a specialist in high-risk pregnancies for another ultrasound, and he prescribed me a weekly non-stress test (where you sit for an hour while a nurse monitors the baby’s heart rate — then it was boring, now I’d call it a vacation). The baby continued to measure small, but everything else was a-okay. I tried to eat more and move less. Skip ahead to Saturday, November 17, 2007 — two weeks before my due date. I noticed my heart racing a little bit that morning, and my ankles and feet were suddenly very swollen, but I didn’t think much of it; both seemed within the realm of normal third trimester symptoms. We obediently went to the ER (me looking at my watch in annoyance to see how much time was left until my baby shower). When the intake nurse took my blood pressure, it was much higher than usual — much higher than it had been at my checkup three days earlier. I noted this, but he told me that increased blood pressure was normal in late pregnancy. The EKG was normal. I was sent to the outpatient clinic. It was at this point that my “heartburn” became excruciating. The people in the waiting room thought I was in labor, and, having been through two subsequent labors, I can tell you that the pain was right up there. I remember very little from that point on, just that they took my blood pressure again and it was even higher than before. Suddenly, a nurse was running with me in a wheelchair over to Labor & Delivery, cursing the people at the ER who hadn’t thought to send me directly there in the first place. It turns out I had sudden, severe preeclampsia. Preeclampsia is pregnancy-induced high blood pressure. In my case, preeclampsia was combined with a condition called HELLP Syndrome, which is an acronym for Hemolysis (the breakdown of red blood cells), Elevated Liver enzymes, and Low Platelets. Possible outcomes of this combo include hemorrhage, liver and kidney failure (my “heartburn” was, in fact, my liver swelling), pulmonary edema, stoke…and death. The only cure is to deliver the baby immediately. Fiona was delivered via emergency c-section. At 37.5 weeks, she was full term, but she weighed in at 3 lbs. 11 oz. She spent one night in the Neonatal Intensive Care Unit for observation, and was released the next day, completely healthy. The first picture ever taken of Fiona. The causes of preeclampsia and HELLP Syndrome are unknown. Researchers currently suspect insufficient blood flow to the uterus, immune system problems, or poor diet as possible causes. 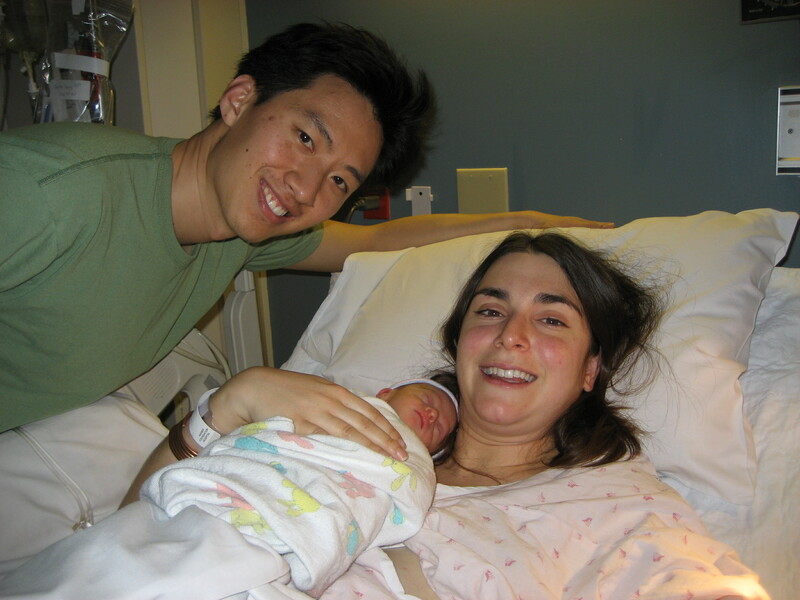 My case was a little strange, both because of its sudden and severe onset, and also because I had only one of the usual risk factors for preeclampsia: that this was my first pregnancy. Nobody has ever been able to explain Fiona’s tiny size, other than that it must have had something to do with the preeclampsia (and our other two daughters weren’t exactly linebackers when they were born). According to the Preeclampsia Foundation, preeclampsia affects at least 5-8% of all pregnancies, and HELLP Syndrome accompanies 15-20% of cases of severe preeclampsia. While preeclampsia rarely causes maternal death in the developed world these days, it is a leading cause of worldwide maternal and infant deaths. Conservative estimates are that preeclampsia is responsible for 76,000 maternal and 500,000 infant deaths worldwide per year. Erick and me with Fiona, the day after her birth. You’ll notice I don’t look so great, because I wasn’t. 1. I am so stinking grateful for health care. Sure, the hospital made a few snafus in my case (they should’ve sent me to Labor & Delivery right away, for instance), but Fiona and I were able to get quick and appropriate medical attention to save our lives. The nurses and doctors who cared for us were competent and compassionate, and during most of the experience I had confidence that everything would turn out okay. It did; I came out on the other side, and followed up with two completely normal and healthy pregnancies, labors, and deliveries. So I think of myself as a “dead mom walking.” Then I look around and realize that I know a whole lot of dead moms walking: women who, like me, would be dead had they not received appropriate medical care during their pregnancies and deliveries. I bet you know a bunch of dead moms walking, too — you may even be a dead mom walking. Childbirth is, and always has been, a very risky proposition; it’s a luxury that, in this time and place, most of us go into covered by the assurance that everything will likely be well. There are a few excellent initiatives and organizations involved in preeclampsia research, and working to address the imbalances in maternal health care, like the aforementioned Preeclampsia Foundation, The United Nations Foundation, and the Million Moms Challenge. I wish there were more. I would love to see those 5- and 6-digit death figures diminish to near zero: more dead moms walking, less dead moms. If I were First Lady, or Miss America, or Angelina Jolie, this would be “my issue.” And I guess, even though I am just me, it still is my issue. This entry was posted in Adversity, Being a Woman, Family, Grief & Loss, Health & Fitness, Parenting. Bookmark the permalink. Faith, seriously! Thank you so much for sharing. Bottom line- I am so glad that you are Fiona are both ok. I couldn’t agree more- I am so grateful for the quality of medical technology these days! 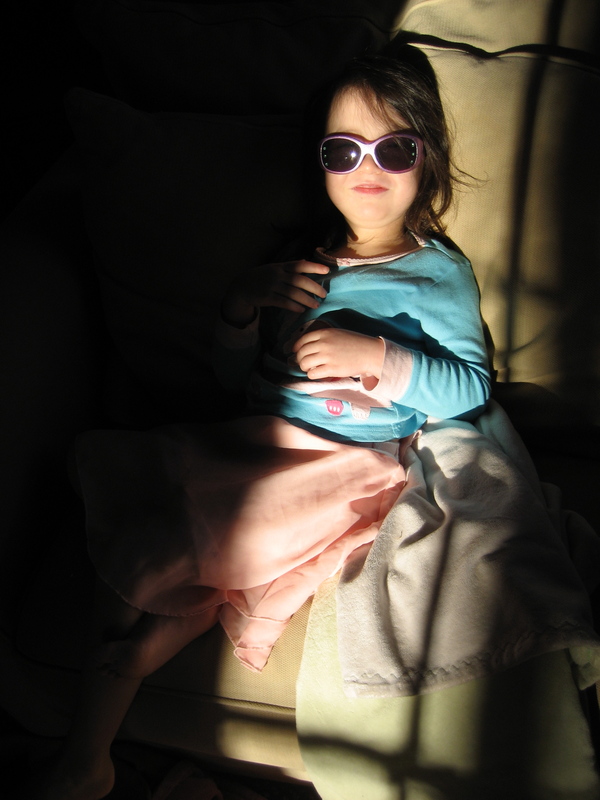 Fiona – Great post. I’m so glad things worked out for you (and Fiona’s adorable!) because preeclampsia is a very serious condition and yes, it is so tragic that many women die from this. I work at BloodSource and many blood recipients have shared similar stories with me. In Africa, pregnancy and childbirth complications are often life-threatening – we sometimes forget in the US that childbirth can be very risky to both mom and child. 25% of blood transfusions in Africa are for moms with childbirth complications. Have you ever read Zulu’s Petals? The woman who wrote it, Lauren Larsen, had preeclampsia and is very active in raising funds for the Preeclampsia Foundation. Have a great day and thanks for sharing your story. Victoria, thank you so much for your comment, and for recommending Zuzu’s Petals. I hadn’t heard of it, but just looked it up on Amazon and read the first few pages and got CHILLS, because Lauren’s experience sounds so similar to mine (but way way worse). I’m definitely going to pick up a copy! And thank you for the important work you do. I didn’t mention it in this piece, but I did receive a blood transfusion as part of my recovery from HELLP, and am still so grateful for that. I did not expect a good guttural laugh while reading this post, but your description of your doctor was great! I love how beautifully this post fits in with your recent post on your own blog about teaching your daughters about life not being fair, and not accepting injustice in others’ lives. You are already a beautiful model of who you want your daughters to be, and I think that’s actually a rare gift for us moms!